On Thursday 7th May I flew to Canberra for the Annual General Meeting of the Wireless Institute of Australia (WIA). The WIA is the oldest national amateur radio society in the World and I had previously attended the 100th anniversary AGM in Canberra in 2010. That AGM was splendid. I knew this one would be different and I was looking forward to participating. But as the AGM did not begin until 18:00 hours on Friday I had the day to do other things. Some of the Australian Capital Territory (ACT/VK1) amateurs had promised to take me (and my colleague from Adelaide, VK5PAS, Paul) to the some of the local summits which we would activate for SOTA. The Trig Point at Mt Coree. Andrew, VK1DA was our guide, mentor and used his station to ensure we could activate two summits and see some of the peaks and natural areas which are so significant in the ACT. So after checking our arrangements with Andrew, VK1DA, we were on the road at 10:00 driving to two peaks in the Brindabella Ranges. 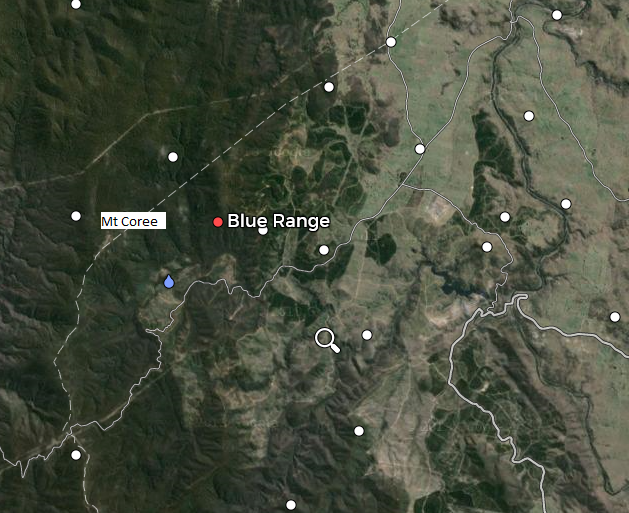 The first peak was Mt Coree which has the SOTA reference, VK1/AC-023. It was a cool sunny day with a slight breeze. To get to Mt Coree was about an hour and a half over some sealed roads, but mainly gravel roads and, finally, a rough track to take us about 300 metres below the summit. We then walked to the summit and used the trig point to secure the squid pole. By the time we reached the summit the breeze had changed to a howling wind! 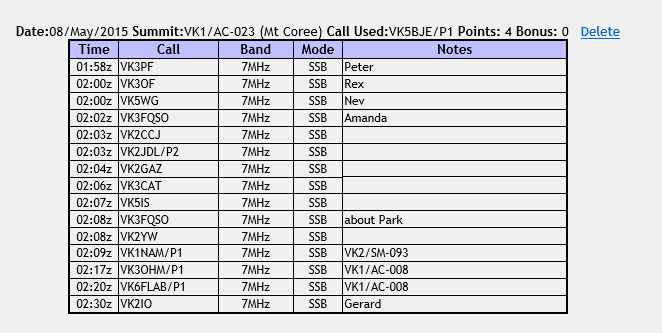 I was able to secure 15 contacts with amateurs in VK1, 2, 3 and 5 on the 40m band. Also Andrew and Paul activated the summit. It was cool and the wind was blowing hard, but it was great fun and I was delighted to secure my first summit in VK1, and my third SOTA Association as I have previously activated summmits in VK3 and VK5. 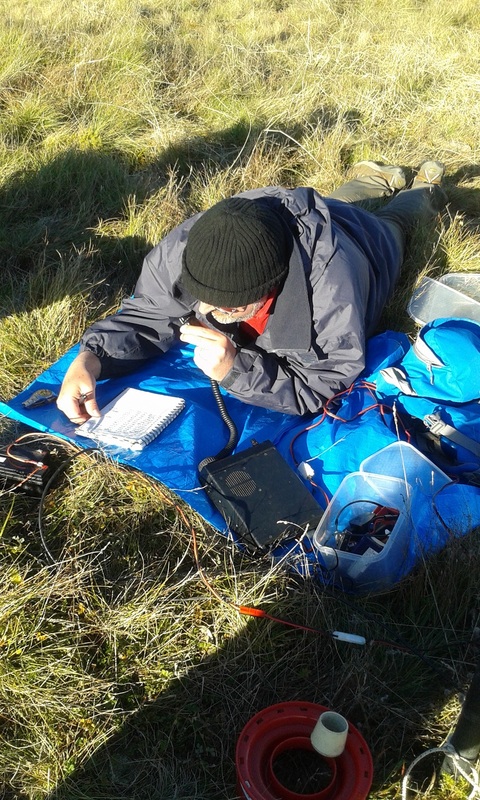 After completing our activation we arranged to meet Marc, VK3OHM/P1 and Ono, VK6FLAB/P1 at a picnic spot on our route to Mount Ginini and their route to Mr Cooree. We were swapping peaks! The ACT Government web page, link above, indicates that the survey of the border began in 1910 and was completed in 1915. 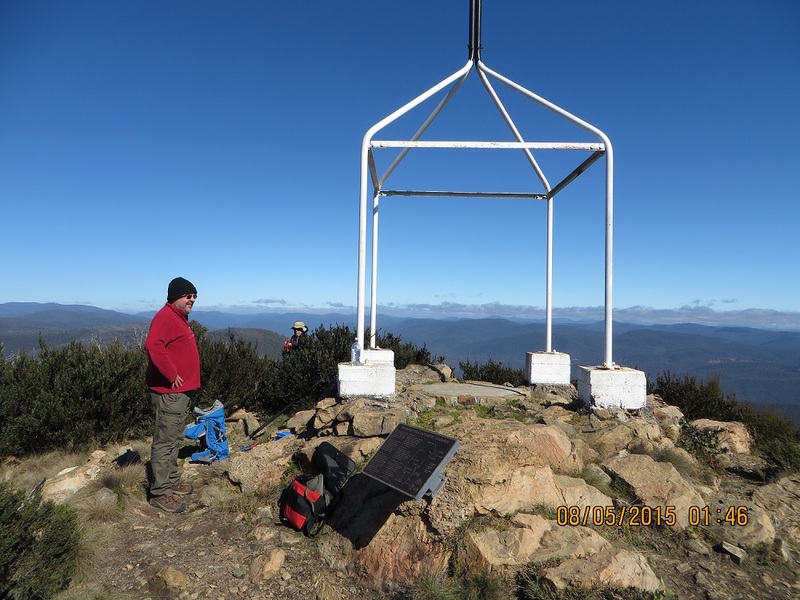 A plaque is in place at Mt Coree, where the work began on the survey at the Trig Point, to commemorate the achievements of the survey team. I recommend a look at the ACT planning site (URL above) and particularly the page on the border markers and accuracy. It is impressive. So we were there in the Centenary Year.